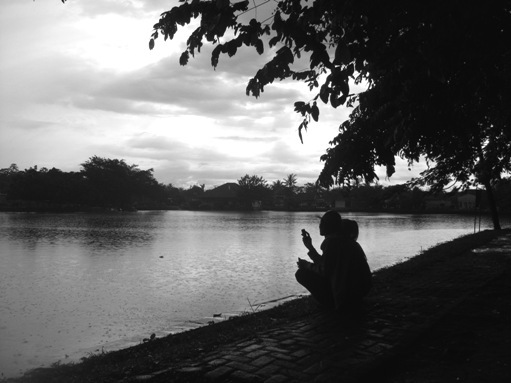 From my bench, I noticed there were several young couples spending their Sunday afternoon around the Gede Lake (Situ Gede Bogor, Indonesia). I captured one couple. This is beautiful, I love the silhouette! Excellent composition! I like the silhouette of the couple. Great silhouettes and well composed b&w photo! Great photo, soft and delicious! A greeting. eu concordo...águas sempre inspiram a romantismo. Um abraço! Great photography. The background and the couple’s movement is well matched.